Product categories of Pressure Reducing Valve, we are specialized manufacturers from China, Pressure Reducing Valve, Adjustable Pressure Reducing Valve suppliers/factory, wholesale high-quality products of Stainless Steel Pressure Reducing Valve R & D and manufacturing, we have the perfect after-sales service and technical support. Look forward to your cooperation! The Pressure Reducing Valve is a valve that adjusts the inlet pressure to a certain required outlet pressure and relies on the energy of the medium itself to automatically maintain the outlet pressure. From the point of view of fluid mechanics, the pressure reducing valve is a throttling element whose local resistance can be changed, that is, by changing the throttling area, the flow velocity and the kinetic energy of the fluid are changed, resulting in different pressure losses, thereby achieving the purpose of decompression. 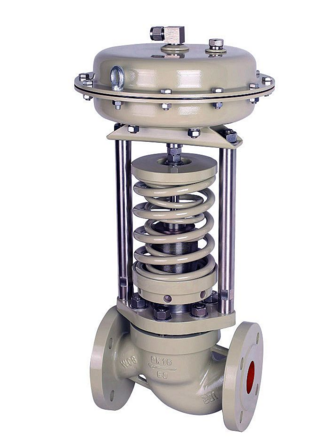 Then, relying on the adjustment of the control and regulation system, the fluctuation of the post-valve pressure is balanced with the spring force, so that the post-valve pressure remains constant within a certain error range.